The son of a career Air Force family, Tommy Dodd has lived all over the world. His love of music came naturally. 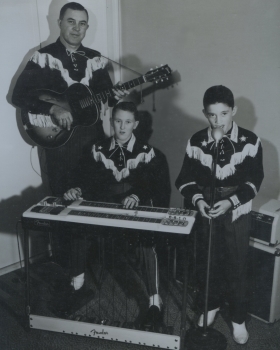 His mother and brother both enjoyed singing, and his father played several instruments, including steel guitar. Music was a huge part of their lives. He had his first steel guitar lesson at the age of 13 when they were stationed in Anchorage, Alaska. Just two years later, at age 15, Tommy was performing at shows and dances around the Tampa, Florida area. Summerville, South Carolina was the last stop after Tommy’s father retired from the military, and where Tommy graduated high school in 1967. After high school, Tommy moved to Charlotte, NC, where he graduated from the University of North Carolina at Charlotte earning his engineering degree in 1972. He then began his professional recording career at Mark Five Studios in Greenville, South Carolina. 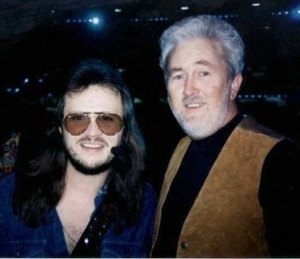 Tommy has contributed his talents to the recordings of such icons as Travis Tritt and Doug Stone. 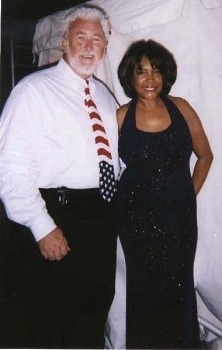 He has also played with The Supremes, as well as an impressive array of country giants at the 1994 Super Bowl half-time show featuring Clint Black, Tanya Tucker, and The Judds. 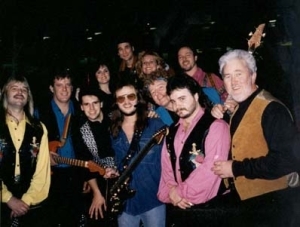 In 1992, Tommy played the role of a musician in When the Music Stopped, a season-6 episode of In the Heat of the Night with Carroll O'Connor and Robert Goulet. However, he says his greatest claim-to-fame came early in 1972 while playing with JD Sumner and the Stamps, when he actually shared the stage with Elvis! Working full-time now as a studio musician, Tommy plays frequently with local bands in Georgia and with artists from all around the southeast. In addition to traditional and new-country music, he thoroughly enjoys presenting the steel guitar in "non-traditional" genres of music and has had great acceptance performing with zydeco, funk, blues, southern rock, and contemporary Chrisitans bands in the area. And, you don’t have to look far for evidence of this Bodacious Bobcat’s contributions to multiple productions of Always, Patsy - the much loved story of the late, great country singer, Patsy Cline. Tommy is called upon regularly for studio work, and he has several instrumental CD projects of his own. 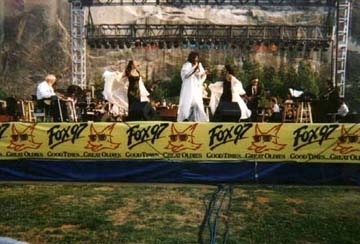 He has endorsements with Peavey Electronics, SteelSeats.com, and Telonics Pro Audio equipment. Tommy provides custom programming for several steel guitar effects units in his studio in Acworth that gives the steel player access to the "in-demand" sounds for recording or live performance as well. He designed and manufactures a custom bracket that attaches to the steel guitar leg and supports many of the more popular effects on the market today. In addition to his music, Tommy also has a printing business, providing screen-printing, heat transfer and vinyl lettering for items such as t-shirts, hats, banners, etc. – as well as personalizing cases and just about anything else you would want to label. Tommy has lived in the Atlanta area since the mid 70’s. He and his wife, Donna, have four grown sons between them. They both actively support the Georgia Steel Guitar Association (GaSGA) as well as several other organizations and shows promoting the steel guitar and its's community.